Throughout his long life, Sir Winston Churchill published many books, and in 1953 he was awarded the Nobel Prize in Literature. Of course, many more books have been written about him, than by him. Sir Martin Gilbert, who became Churchill’s official biographer in 1968, passed away on February 3rd 2015. Shown above are just a few of Gilbert’s more than 80 books. He is remembered not only as an author but also as a revered historian. For more information about Sir Martin Gilbert and his work, please visit the Martin Gilbert website. 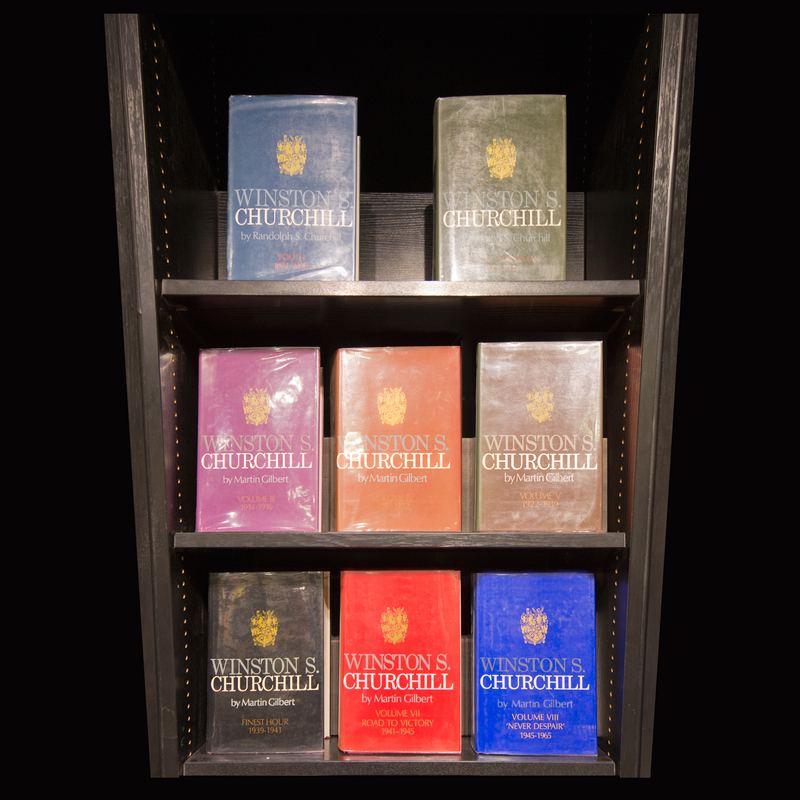 Seen in the above photograph are the eight volumes of Churchill’s biography, the last six written by Gilbert. The book covers read as follows. TOP ROW: Winston S. Churchill by Randolph S. Churchill, Youth 1874-1900; Winston S. Churchill by Randolph S. Churchill, Young Statesman 1901-1914. MIDDLE ROW: Winston S. Churchill by Martin Gilbert Volume III 1914-1916; Winston S. Churchill by Martin Gilbert Volume IV 1917-1922; Winston S. Churchill by Martin Gilbert Volume V 1922-1939. BOTTOM ROW: Winston S. Churchill by Martin Gilbert Finest Hour 1939-1941; Winston S. Churchill by Martin Gilbert Volume VII Road to Victory 1941-1945; Winston S. Churchill by Martin Gilbert Volume VIII ‘Never Despair’ 1945-1965. The image featured above is part of the limited edition collector’s portfolio created by Leslie Hossack to mark the 50th anniversary of the death of Sir Winston Churchill. She presents locations that chart Churchill’s personal and political life, from his birth at Blenheim Palace in 1874 until his death in London in 1965. THE CHURCHILL PHOTOGRAPHS are part of Hossack’s larger body of work that explores Nazi architecture in Berlin, Stalinist structures in Moscow, contested sites in Jerusalem, a Cold War bunker in Ottawa, NATO’s Headquarter Camp in Kosovo, and buildings linked to the Japanese Canadian internment during World War II. In 1874, Winston Churchill was born at Blenheim, one of Britain’s greatest palaces. 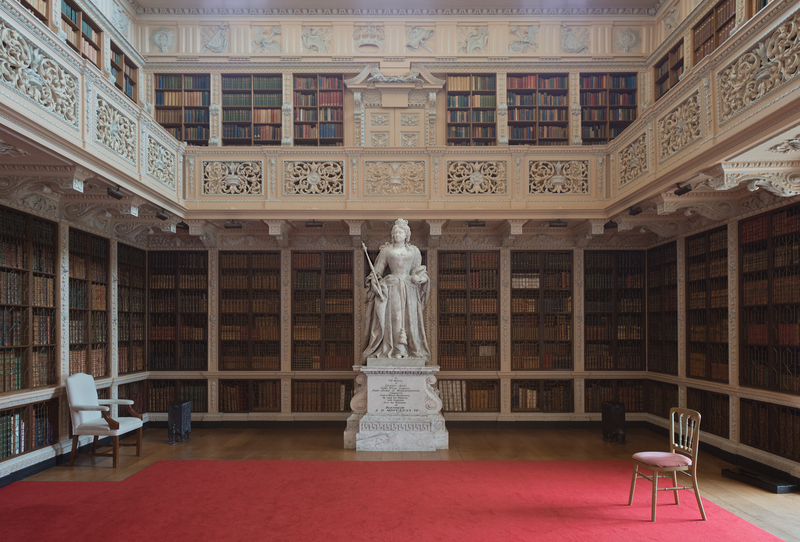 The Long Library, measuring over 55 metres from end to end, was once described as the longest room in England. 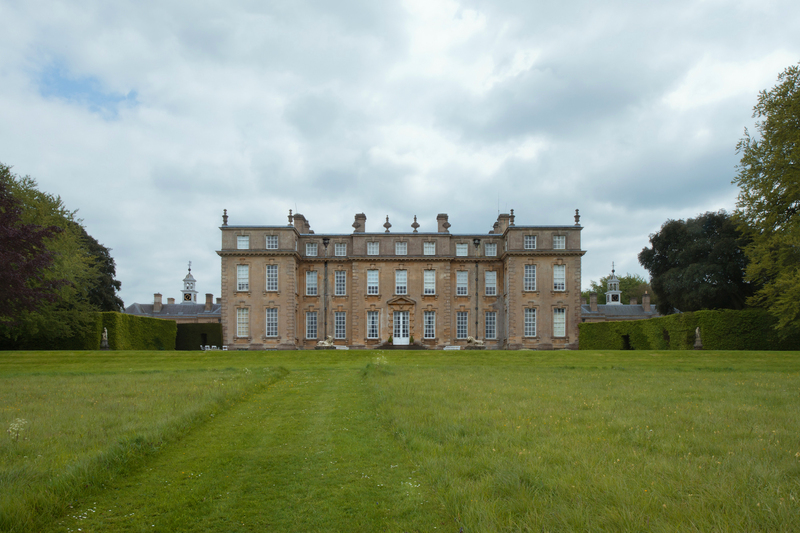 As a boy, Churchill spent many holidays visiting his grandparents at Blenheim where he spent countless hours playing indoors and out with his younger brother Jack and their cousins. Perhaps his love of reading and writing started in the room shown above. Throughout his long life, Churchill composed hundreds of newspaper articles, magazine features, political speeches, public lectures, and full-length books, some of several volumes. In the period following World War II, Churchill published The Dawn of Liberation (1945), Victory (1946), War Speeches (1940-45, 1946), Secret Session Speeches (1946), The Second World War, 6 volumes (1948-53), The Sinews of Peace (1948), Painting as a Pastime (1948), Europe Unite (1950), In the Balance (1951), The War Speeches, 3 volumes (1951-52), and Stemming the Tide: Speeches (1953.) That same year, on December 10th 1953, Sir Winston Churchill was awarded the Nobel Prize in Literature “for his mastery of historical and biographical description as well as for brilliant oratory in defending exalted human values.” Due to ill health, Churchill was unable to attend the Nobel Banquet at the City Hall in Stockholm, and his speech was read by Lady Churchill. On May 8th 1945, Prime Minister Winston Churchill made a broadcast to the nation announcing Germany’s unconditional surrender. A few days later, the wartime coalition government broke up, and on May 23rd 1945 Churchill formed a caretaker government. That summer there was a general election in Great Britain and the Labour Party won a landslide victory. On July 26th, Churchill resigned as Prime Minister and became Leader of the Opposition. 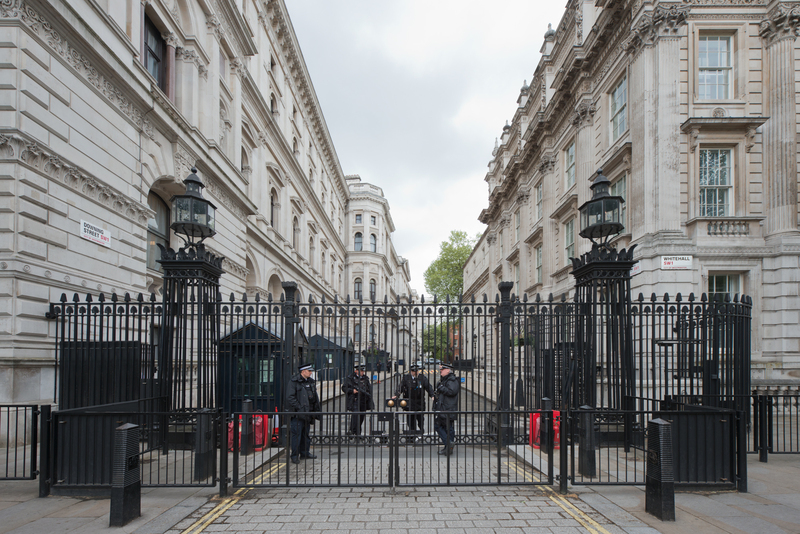 It was time to leave the official residence at 10 Downing Street. 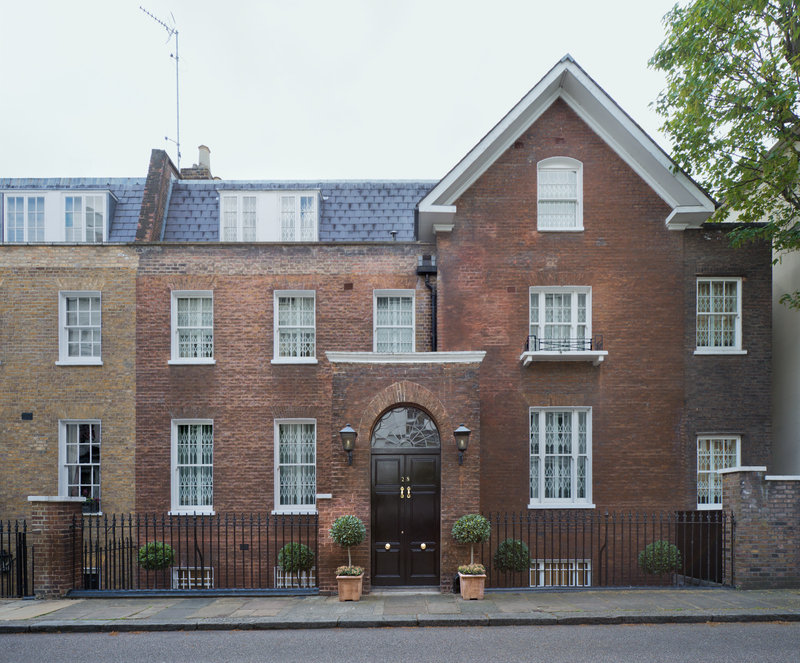 Churchill purchased 28 Hyde Park Gate, shown above, where he and Clementine lived from 1945 until his death in 1965. In 1951, he became Prime Minister once again, and they lived at 10 Downing Street from 1951 to 1955, before returning to 28 Hyde Park Gate. August 1945, the month following Churchill’s resignation as Prime Minister, saw cataclysmic events around the globe. The atom bomb was dropped on Hiroshima on August 6th and on Nagasaki on August 9th. Japan surrendered on August 15th, VJ Day, and World War II came to end six years after it had begun. Sir Winston Churchill will always be remembered as the resolute and inspirational individual who led Great Britain through that global conflict. Today marks the 50th anniversary of Sir Winston Churchill’s state funeral. On November 30th 2014, Winston Churchill’s 140th birthday, Haute Vitrine started publishing images from the series THE CHURCHILL PHOTOGRAPHS by Leslie Hossack. The previous post marked the end of Part 5, The War Years, 1939 – 1945. During this time, Sir Winston Churchill served as Prime Minister from May 10th 1940 until the end of World War II. He led Great Britain through its darkest days and finest hour, in the fight against Nazi tyranny. Photographs featured in Part 5, The War Years can be reviewed below. To view the photographs from Part 1, The Early Years, 1874 – 1892; Part 2, The Defining Years, 1892 – 1908; Part 3, The Political Years, 1908 – 1929; and Part 4, The War Years, 1939 – 1945, please see the Haute Vitrine posts of November 30th 2014 through January 16th 2015. Leslie Hossack’s CHARTING CHURCHILL will continue through January 2015, the month that marks the 50th anniversary of the death of Sir Winston Churchill, and into February with Part 6, The Later Years, 1945 – 1965. 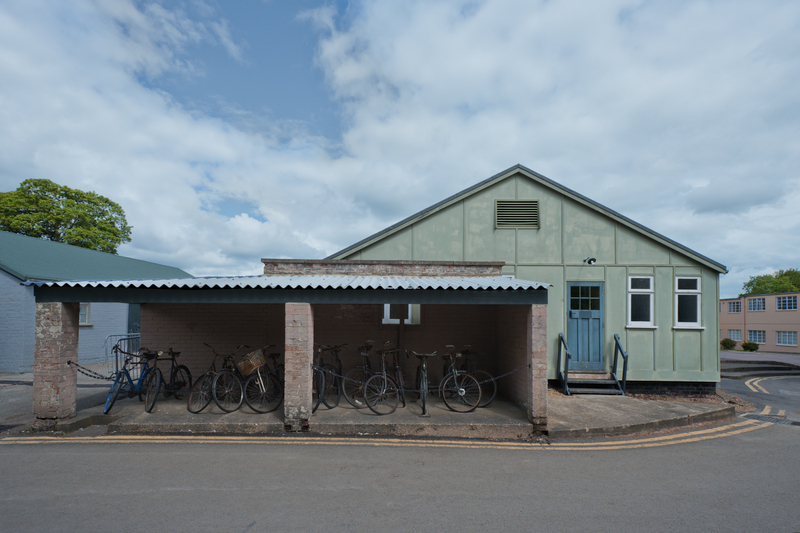 The images featured above are part of the limited edition collector’s portfolio created by Leslie Hossack. 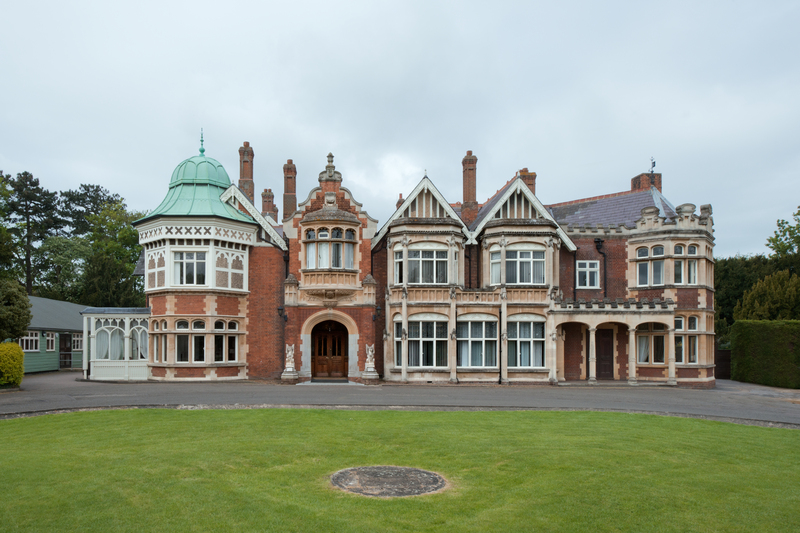 She presents locations that chart Sir Winston Churchill’s personal and political life, from his birth at Blenheim Palace in 1874 until his death in London in 1965. To read the stories behind these images, please see the previous posts here on Haute Vitrine. 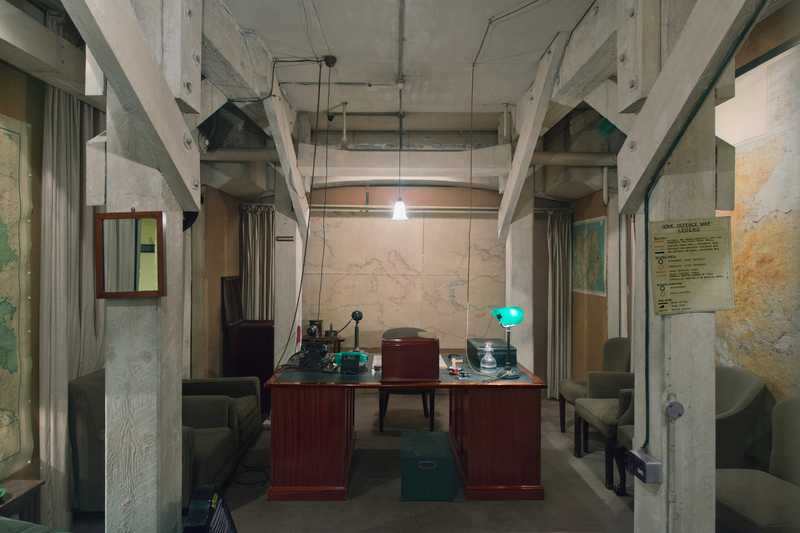 THE CHURCHILL PHOTOGRAPHS are part of Hossack’s larger body of work that explores Nazi architecture in Berlin, Stalinist structures in Moscow, contested sites in Jerusalem, a Cold War bunker in Ottawa, NATO’s Headquarter Camp in Kosovo, and buildings linked to the Japanese Canadian internment during World War II. Winston Churchill was called to Buckingham Palace on May 10th 1940 by King George VI and asked to form a government. 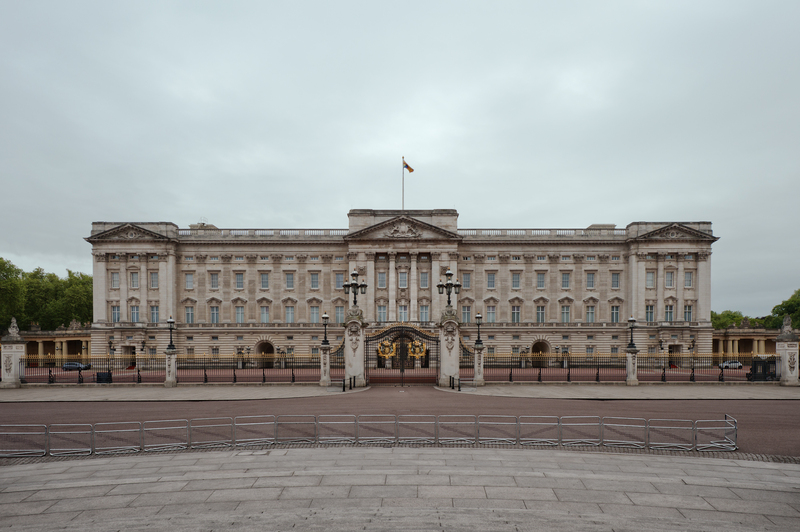 Five years later, on May 8th 1945, Prime Minister Churchill stood on the balcony of Buckingham Palace with King George, Queen Elizabeth, Princess Elizabeth and Princess Margaret waving to the cheering crowds. Throughout the day and evening, the Royal Family made several appearances. The square in front of the Palace, shown above, was packed with people celebrating VE Day; Germany had surrendered unconditionally. Churchill also greeted the massive crowds on Whitehall, from balcony of the Ministry of Health. Here he made two appearances, one during the day and another at 10:30 pm when he wore his famous siren suit. He proclaimed: “This is your victory! It is the victory of the cause of freedom in every land. In our long history we have never seen a greater day than this…” At the conclusion of his brief remarks, the band played Land of Hope and Glory, and everyone joined in the singing, including Churchill. To learn more about events of 1945, please visit the BBC World War II Timeline. This BBC summary, prepared by Bruce Robinson, was last updated in 2011. A panel in Hoar Memorial Hall, unveiled in 1948 by Prime Minister Clement Attlee and Winston Churchill, reads as follows. 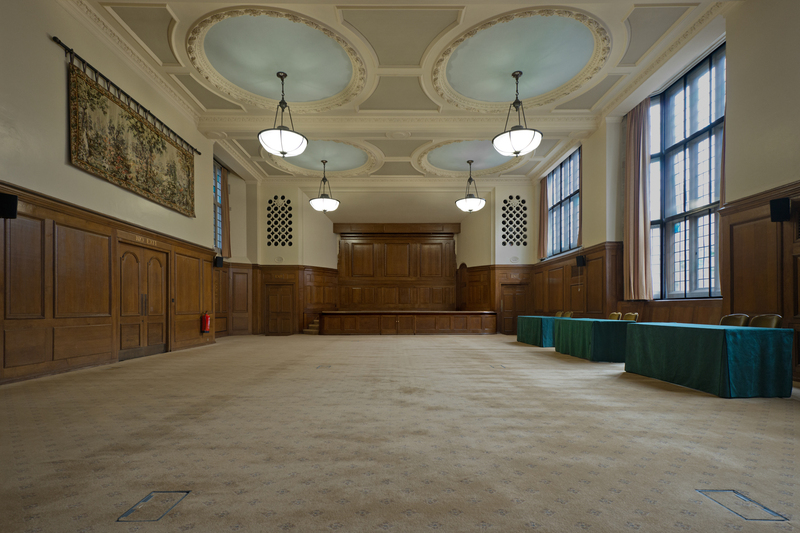 THIS HALL OF CHURCH HOUSE WAS AS OCCASION REQUIRED DURING THE YEARS 1940 1941 & 1944 THE CHAMBER OF THE HOUSE OF COMMONS. WITHIN ITS WALLS THE PRIME MINISTER WINSTON CHURCHILL IN THE DARKEST DAYS OF THE WAR SPOKE TO THE COMMONS AND TO THE NATION THE WORDS HERE RECORDED. 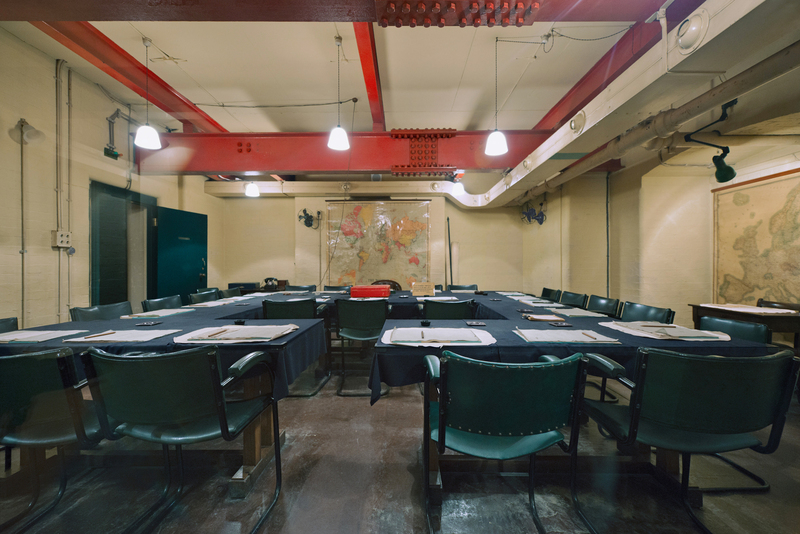 During World War II, Parliament met at Church House in November-December 1940; April-June 1941, when the House of Commons Chamber was destroyed; and June-August 1944, when London was threatened by V1 flying bombs. To learn more about events of 1944, please visit the BBC World War II Timeline. This BBC summary, prepared by Bruce Robinson, was last updated in 2011. While he was Prime Minister during World War II, Winston Churchill followed his usual daily routine. Whether he was at 10 Downing Street, the Annexe, Chequers, Chartwell or Ditchley Park, he woke to breakfast in bed between 8:00 and 8:30. He then worked in bed all morning: reading the newspapers; dealing with government business delivered in his boxes; and dictating letters, directives and speeches to his personal secretaries, often Miss Elizabeth Layton. Around noon hour, Churchill’s valet Sawyers would draw a bath, ensuring that it was the desired temperature, and then help him dress just before luncheon. Following his afternoon nap, Churchill would take a second bath before dressing for dinner. 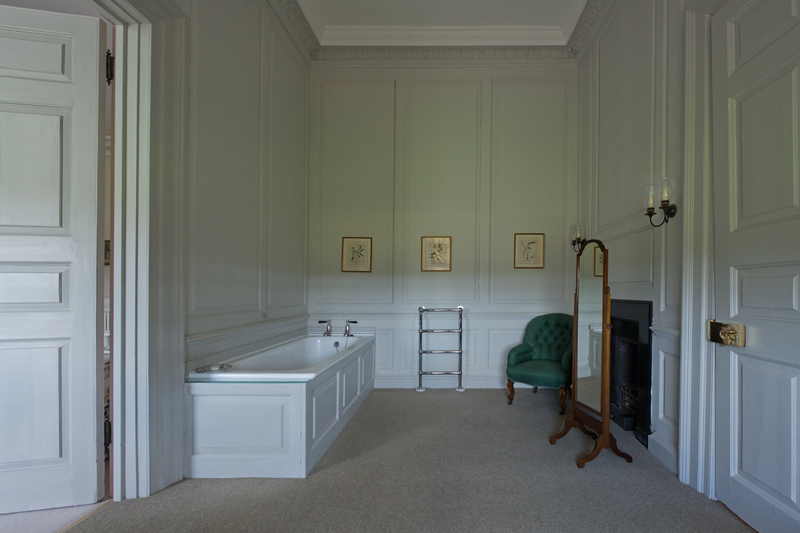 The bathroom shown above is the one he used at Ditchley Park during the weekends he spent there in 1940 – 1942. Elizabeth Nel (née Layton) was the Prime Minister’s personal secretary from 1941 to 1945. 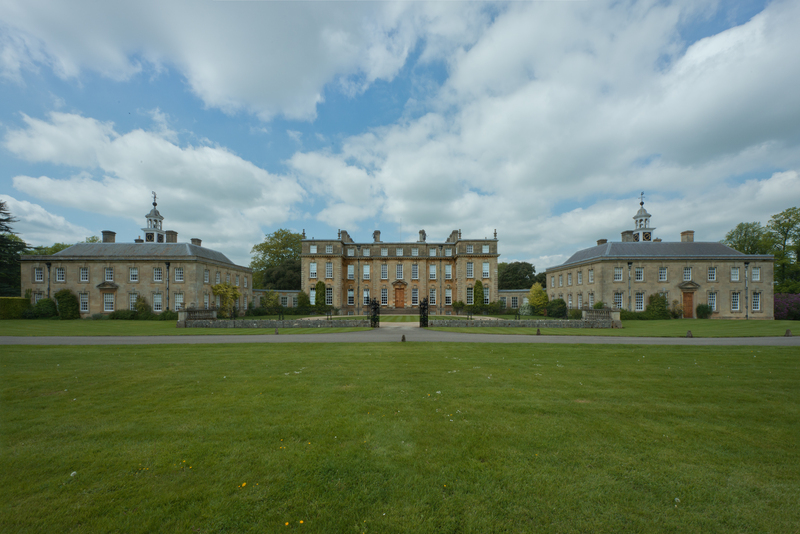 In her book Winston Churchill by his Personal Secretary (2008), she described Ditchley Park as “the other place,” a heavily guarded secret. Although Churchill spent his last weekend there in 1942, Nel recalled a trip from Chequers to Ditchley Park, a drive of about 40 miles, on March 7th 1943. Churchill was recovering from pneumonia at Chequers, but he decided to go to Ditchley Park for a luncheon. As usual, he dictated to Miss Layton in the car all the way there and back. To learn more about events of 1943, please visit the BBC World War II Timeline. This BBC summary, prepared by Bruce Robinson, was last updated in 2011.